“Before time began, before spirits and life existed, three golden goddesses descended upon the chaos that was Hyrule. Din, the goddess of power. Nayru, the goddess of wisdom. Farore, the goddess of courage. Din, with her strong flaming arms, she cultivated the land and created the red earth. Nayru poured her wisdom onto the earth and gave the spirit of law to the world. Farore, with her rich soul, produced all life forms which would uphold the law. So, we have three goddess who descended from the heavens, created the world, and left never to be seen or heard from again. And, oh, the turmoil the quest for those sacred triangles has caused! Ganondorf is the longest-running example of that, but long before him, it was Demise, King of Demons, who sought the Triforce. We’ve seen what an up-jumped sorcerer became with the Triforce of Power. Demise is already on a whole other level from the King of Thieves, so there’s no telling how powerful he would have become. He probably would have become a veritable god, and kept his promise to conquer the world and kill everyone the original Link loved. One would think that the goddesses could have put in some sort of safeguard, to keep evil from using such great power, but I guess not. In fact, after creating the world, they seem to have pretty much left it behind forever, sort of like a mother abandoning her child. For that alone, I am disqualifying all three from being my favorite. I like my deities to be somewhat involved in things, ya know? But wait, does that mean I forfeit this challenge, on Day 21? There’s evidence to suggest the Gerudo worshiped a sand-snake goddess of some sort. No idea about her. 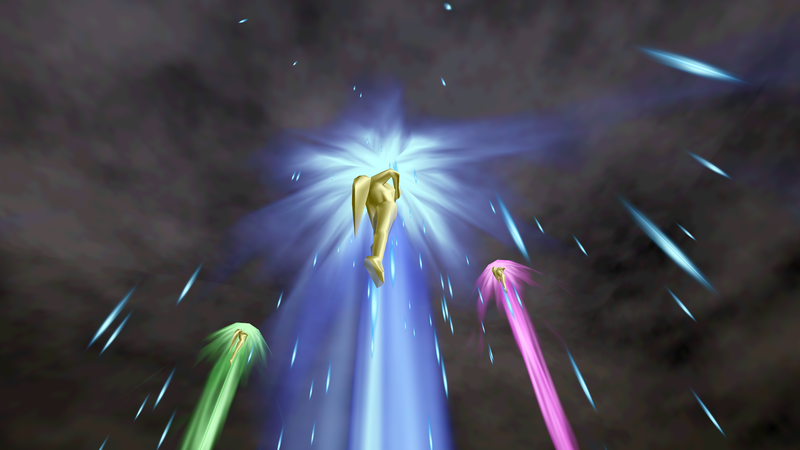 She is the “fourth” goddess, you could say, the one the other three entrusted with protecting the Triforce. When Demise rises, with his horde of demons, to attack the races on the surface of the world, Hylia herself leads the fight against him. She entrusts the key to the Triforce to the Hylians, sending them to he sky on a floating island, with a mystical barrier of clouds protecting them from below. Then she rallies the remaining races, and they defeat Demise. Then, knowing Demise would eventually break free, she crafted a plan to negate him permanently, one which involved forsaking her own divinity and becoming a mortal incarnation, the first Princess Zelda. So, I do not pick any of the classic three. Not eeny, not meeny, not miny. I pick moe! This entry was posted in 30-Day Zelda Challenge, Challenge Accepted, Games and tagged Legend of Zelda, Ocarina of Time, Skyward Sword. Bookmark the permalink. 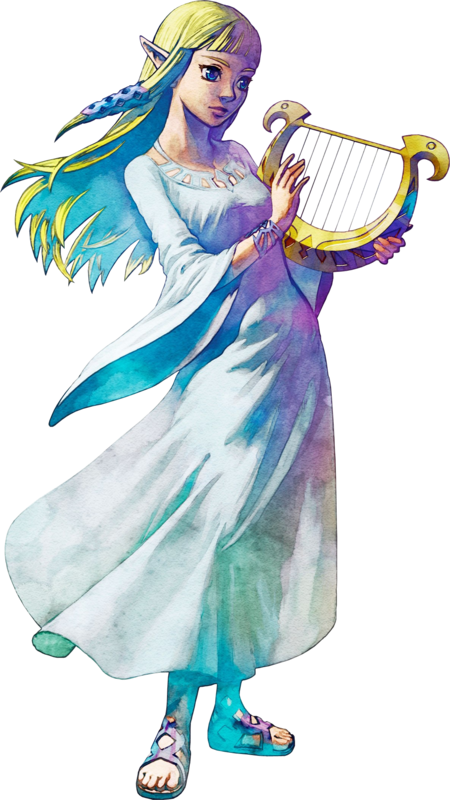 Well I guess since I picked the Triforce of Wisdom, I’ll say Nayru, the Goddess of Wisdom is my favourite.